Gladewater head coach John Berry received an award from the US Marines honoring his abilities off the field. 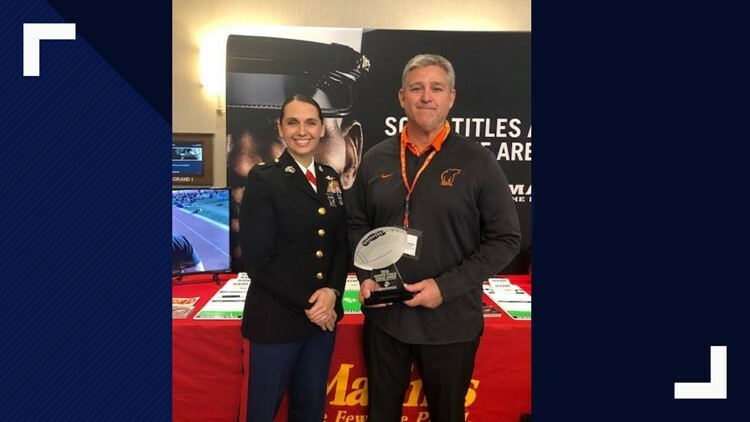 Gladewater head football coach John Berry has been honored with a prestigious award from the United States Marine Corps. Maj. Ruth Kehoe formally presented Coach Berry with the Semper Fi Coaching Award at the Glazier Football Clinic in Irving. The award recognizes coaches who model the Marine Corp's leadership values of honor, courage and commitment. Success on the field is not a part of the award's consideration.